Manchester: Faced with the latest in a string of defeats this season, Jose Mourinho leant on a familiar crutch by claiming Manchester United did the best they could by losing only 1-0 against the financial might of Juventus in the Champions League. Since the club's money spinning pre-season tour to the United States, Mourinho has moaned about not being backed enough in the transfer market. However, the Portuguese coach's excuses are beginning to wear thin as the self-confessed richest club in the world sit 10th in the Premier League and in danger of missing out on the last 16 of the Champions League. "They go for the best players in the world, big club with a big past but also a big desire to have a big future," said Mourinho, referring to Juventus' recruitment drive this summer to land not only Cristiano Ronaldo, but bring Leonardo Bonucci back to the club. Mourinho declared Bonucci and centre-back partner Giorgio Chiellini could lecture at Harvard University on how to defend. Yet, not for the first time with Mourinho this season, it was a self-serving message, pointing out he wasn't given the funds he wanted for a central defender this summer. However, Mourinho can hardly plead poverty. In just over two years at Old Trafford he has been backed with nearly £400 million ($520 million) in transfer fees for precious little sign of progress. One of his first signings was to take one of Juventus' best players in Paul Pogba for a then world record fee. 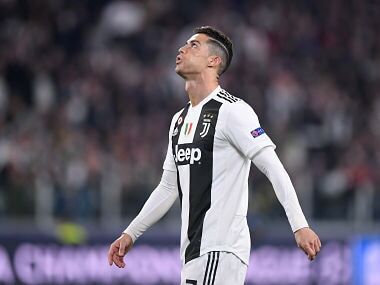 Moreover, their £296 million wage bill dwarfs that of Juventus by over £100 million, despite Ronaldo earning three times more than any other player in Serie A. It is not the case that United don't spend money, the fact is under Mourinho they are not getting value for it, unlike the Italian champions. 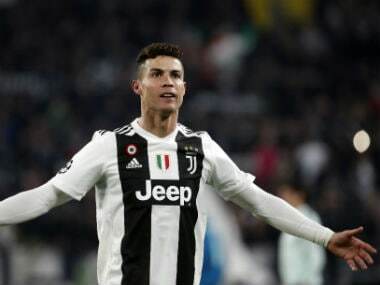 Although the focus was on Ronaldo's return to Old Trafford, Juventus didn't line up with football's equivalent to the Harlem Globetrotters, but a team carefully put together over a number of years. Pogba's French international team-mate Blaise Matuidi was bought for a cut-price fee last summer as Paris Saint-Germain tried to balance the books after smashing the world transfer record for Neymar, while 21-year-old Uruguayan Rodrigo Bentancur cost just 9.5 million euros ($11 million). As the clock ticked into stoppage time and United huffed and puffed in search of an equaliser, Mourinho didn't make a single substitution, leaving £50 million summer signing Fred on the bench. Instead, the United manager turned to hold up three fingers at the travelling thousands from Turin taunting him, in reference to the treble of Champions League, Serie A and Italian Cup he won with Inter Milan in 2010 -- a first for an Italian side. "They put everything there to try to win the treble because normally they win at home," added Mourinho. "But the treble until now, unfortunately for these fellows on the other side, the treble is our treble, not their treble." Mourinho also held up three fingers to Chelsea fans on Saturday to remind them he won three Premier League titles at Stamford Bridge. 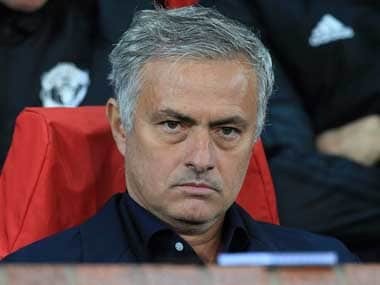 Rather than a show of defiance, Mourinho looks increasingly like a manager living on past glories and running low on excuses to justify his inability to improve United's fortunes.